We left our vacation spot in Belfast, Maine to drive home and get back to the real world. 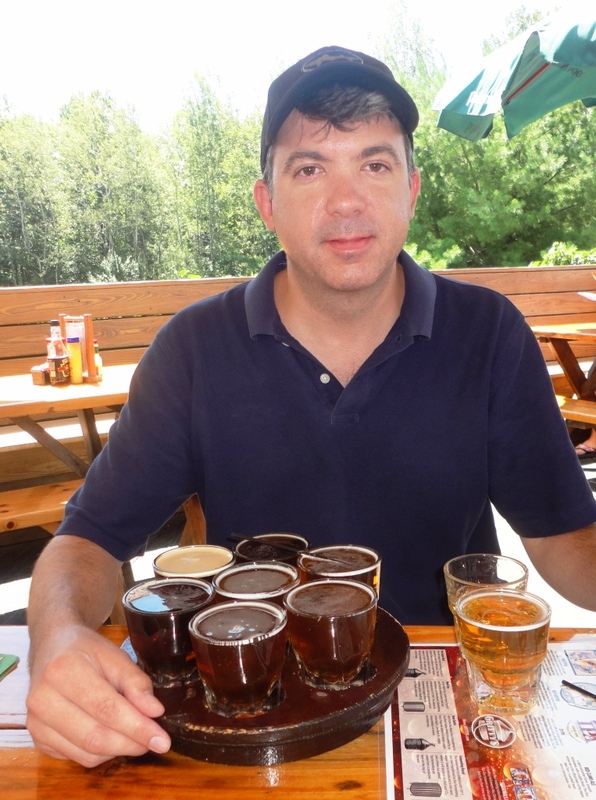 But not before one more Maine beer adventure! 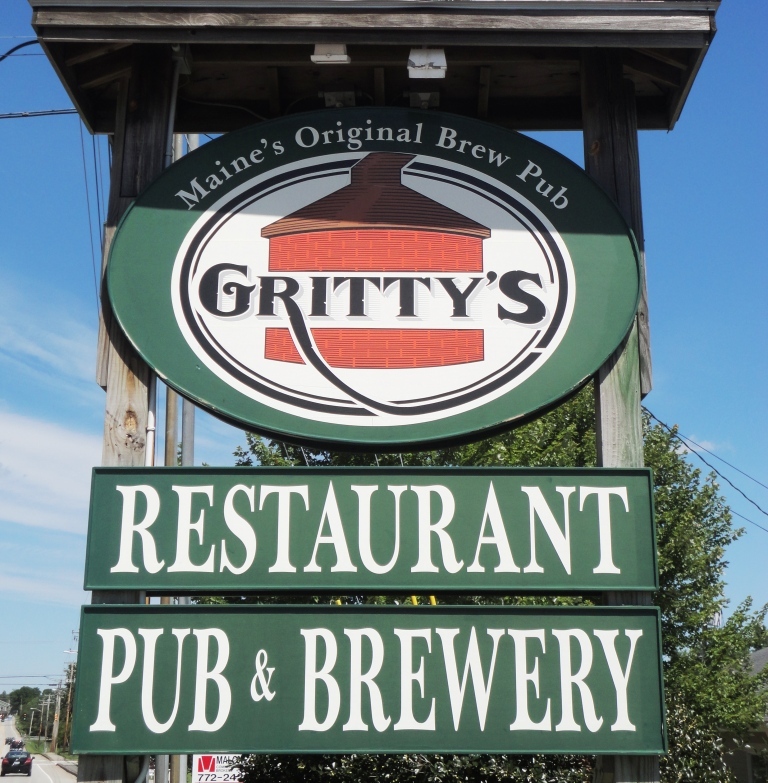 Gritty McDuff’s Brewing Company was founded in 1988 in Portland, Maine as the state’s first brewpub. The original location in downtown Portland is simply a classic, but we went to the Freeport location. After a morning of shopping at the massive L.L. Bean flagship store and other stores in downtown Freeport, it was time for lunch and a beer. 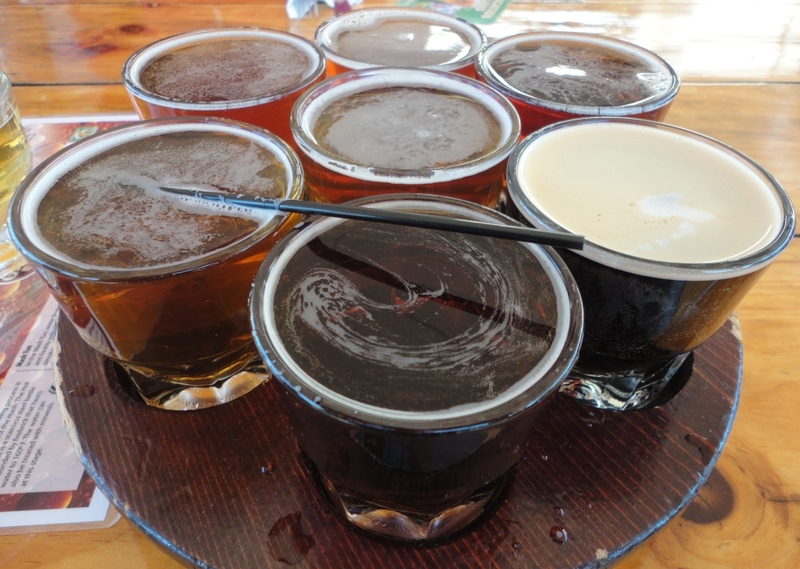 I ordered a sampler tray so I could try all nine house brews. Raspberry Light, this thirst quencher is Sebago Light brewed with raspberries. Gritty’s has a huge menu of pub grub, plus a nice seasonal menu. Tough decision, but I knew I wanted one more dish of fresh Haddock, so I ordered the Fish Tacos. The kids had Lobster Mac & Cheese and loved it. I wished we could have stayed all afternoon, hanging out on the outdoor patio drinking Gritty brews.